Say hello to our new, sleek, battery-powered air freshening system. 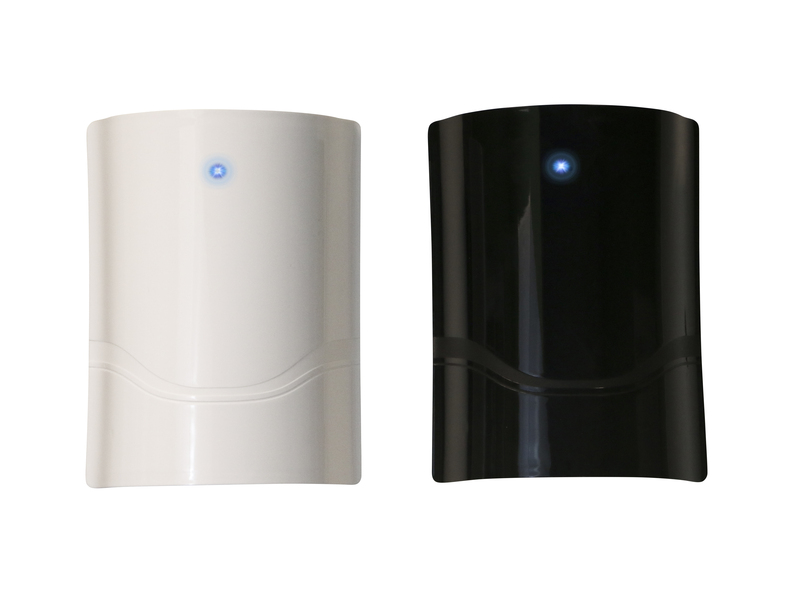 The low-profile design, available in black and white, will blend into any facility decor. The blue indicator light pulses when the internal fan is on. The PULSE holds Solid Airs and ULTRA Air Fresheners and has adjustable trays for multiple refill options. It features an ON/OFF switch and runs on 2 easy-to-replace “C” batteries. 24/7 Air Freshening never looked so good. Special Notes: Use with Ultra SolidAIR and Ultra Air Freshener Refills. Batteries sold separately.